3M and Cogent Inc. announced that they have entered into a agreement for 3M’s acquisition of Cogent Inc. for approximately $943 million, or $10.50 per share. 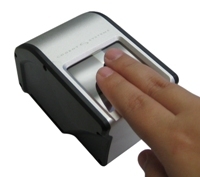 Cogent Inc. provides finger, palm, face and iris biometric systems for governments, law enforcement agencies and commercial enterprises. The agreement provides for a subsidiary of 3M to commence a tender offer to purchase all outstanding shares of Cogent Systems within ten business days. 3M already has an ID management business that includes border management products; document manufacturing and issuance systems for IDs, passports, and visas; document readers and verification products; and security materials, such as laminates, to protect against counterfeiting and tampering. With approximately $130 million in revenue in 2009, Cogent Systems is based in Pasadena, Calif., and employs approximately 500 people. The company has operations in Ohio, Virginia, Austria, Canada, China, and the United Kingdom. Cogent Systems would be part of 3M’s Security Systems Division. Ming Hsieh will remain an integral part of the combined business going forward.